Severe weather and storms are a universal phenomenon that play a part in the lives of everyone. Severe weather enthusiasts and adrenaline junkies from all walks of life are drawn to storm chasing. Some pursue it as a hobby, and some actually make it career. There are various levels of interest and passion involved. Becoming a professional storm chaser can be difficult. Many people do it as a hobby, but few can make a career, let alone a living from it. Most start out going to school for numerous years to become a meteorologist, and learn the art and science of forecasting. If you want to forgo this, becoming an amateur storm chaser is fairly simple. Here are some tips and basics of becoming an amateur storm chaser. The basic equipment you will need is a portable vhf radio, state and county maps, navigation equipment (gps), a partner, and a good video camera, and a mix of caution and adventure. First off, you need a general knowledge of when and where to go to find tornados. Well over half of the tornadoes in the U.S. annually hit a well know strip of land called “tornado alley” between the months of March through June. Of the roughly 1200 tornados that hit the United States e ach year, roughly 700 of them are in tornado alley. Tornado alley is a strip of land extending from the Northern states of Minnesota and South Dakota down through the Midwest states of Nebraska, Oklahoma, Kansas, Missouri, and Arkansas. The southeast and southwest also have some frequently hit areas, but tornado alley has the most. After trekking down to tornado country, the next step is to find out where the storms are occurring. The best resource for this is the National Oceanic and Atmospheric Administration, known commonly as NOAA. NOAA broadcasts weather updates around the country via National Weather Radio. Look online to find the frequency for NWR nearest to your location. You will get updates on severe weather around the clock. Other resources like the weather channel will give you a broad picture of where storms are most likely to appear over a seven to ten day period, and NWR will give you local updates to pinpoint where you want focus. If you are torn between similar looking tornado producing storms to chase, the deciding factor should be the area with the most road networks on the map or gps. 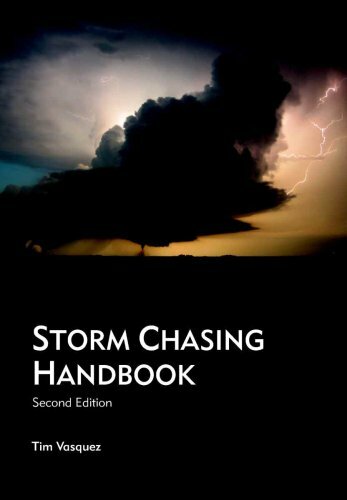 It is safest and most effective to storm chase with a partner for navigation and filming. Make absolutely sure to approach severe weather cautiously. Tornado producing storms also have the ability to produce flash floods, lightning and heavy hail. All of which obviously can have potentially devastating effects on you and your vehicle. If you’re driving on dirt roads, know that with rapidly changing weather come muddy roads that could get you stuck too close to the severe weather. If you’re heading into a long line (squall line) of weather, be careful for rain wrapped tornadoes. These are the most dangerous because they are hidden within the storm system and can sneak up on you without you knowing it. Isolated super cells and storms are the best for safety and visual. If you spot a tornado, ride alongside the storm at a safe distance. Safely pull off road and put on hazards before documenting with a camera. Realize that some tornados are only on the ground for a matter of seconds while others can stay touched down for much longer. Stay in car while filming to avoid getting hit by hail or struck by lightning. After your day of storm chasing, stop by the nearest national weather service branch or local news station to submit your footage. You can also submit your severe weather footage online. All footage will help to promote understanding and safety procedures for severe weather systems.